A collaboration between mp3 creator Fraunhofer IIS and Sonnox Ltd., has resulted in a plug-in designed to change the way audio is mastered for online distribution. 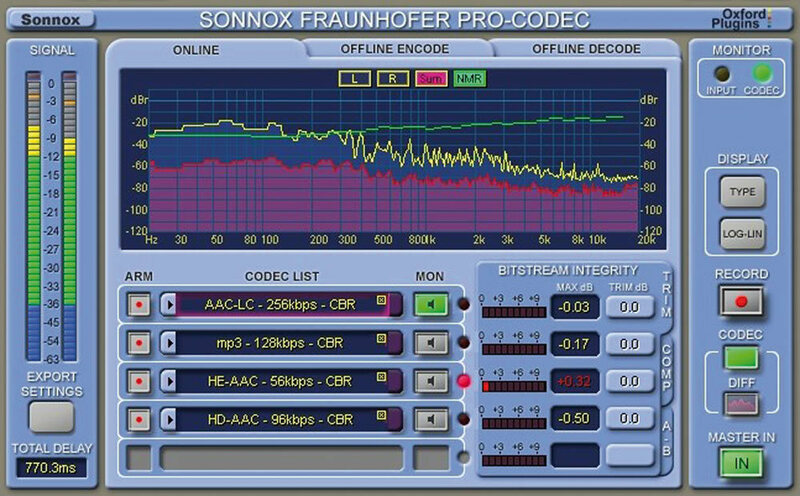 The new Sonnox Fraunhofer Pro-Codec plug-in is designed to make it possible to audition codecs in real time. This is designed to break away from the current cycle of having to encode the mix to mp3/AAC, preview it, tweak it and then go back and re-render. The Pro-Codec plug-in enables mix and mastering engineers to audition up to five codecs in real time within a DAW environment, produce a mix and batch encode to multiple formats simultaneously. All major codecs, including mp3, mp3 Surround, AAC-LC and HE-AAC are supported, as are lossless codecs such as mp3 HD and HD-AAC, according to the company. The Pro-Codec plug-in is compatible with DAWs such as Pro Tools, Logic, Cubase, Nuendo, Sonar, Sequoia and Wavelab. Both Mac and Windows are supported. 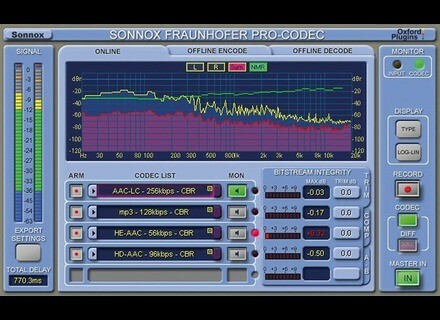 The Sonnox Fraunhofer Pro-Codec plug-in will be available at a price of $499. For more information on Sonnox Oxford plug-ins, visit www.sonnoxplugins.com. [NAMM] Tommy Emmanuel: A Step-by-Step Breakdown Hal Leonard released at NAMM two titles for guitarists: Signature Licks book/CD packs examining the playing of Tommy Emmanuel and Duane Allman. [NAMM] Zenhiser Ultimate Deep House Beats Zenhiser supplies another collection of looped and mastered deep house beats that crosses the realms of both deep house and tech house. [NAMM] 5 Hal Leonard Real Books The music print publisher presents five new Real Books at NAMM: The Real Book – Vol. 4, The Real Rock Book, The Real Blues Book, The Real Bluegrass Book and The Real Dixieland Book.